I have one, and Lloyd has one. 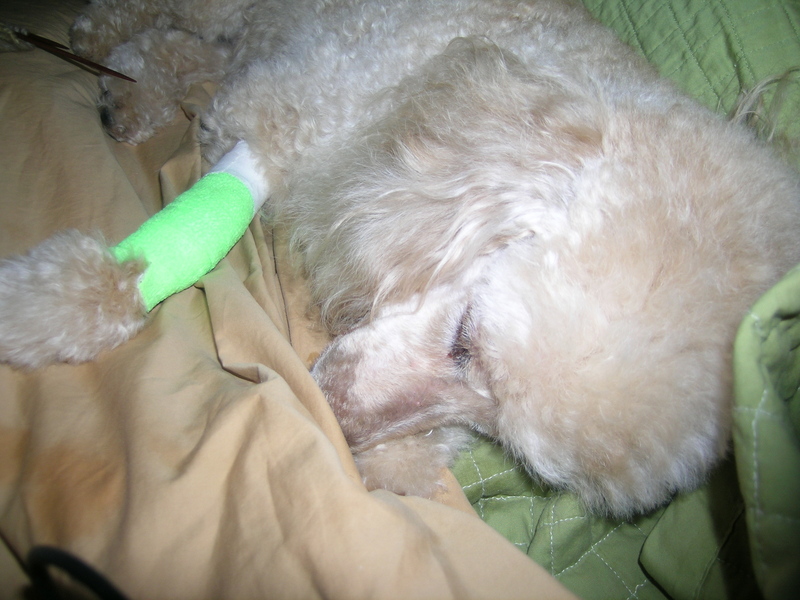 We are both in bed together recuperating, and I am knitting, surfing the web and blogging. Going to add libations to that list in a few minutes. I have finished knitting the body of the baby Kimono sweater, now just to do the picot edges. I thought I made the last sweater in 2 or 3 days, this has taken so much longer. The main body used exactly 3 skeins of Chocolate Brown Baby Ull by Dale of Norway. You would not think that much yarn, but garter stitch is quite the yarn hog. I love how squishy it feels however. 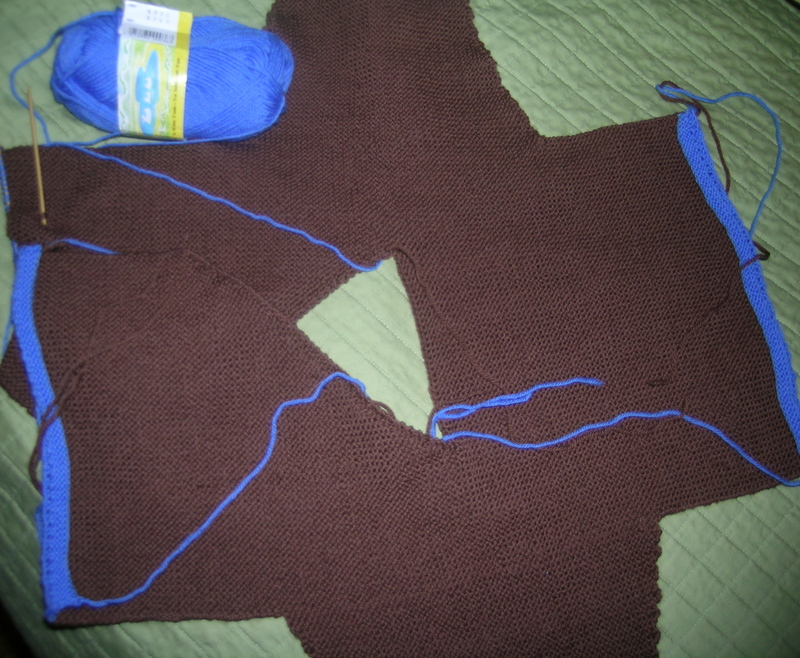 I am debating using 2 different colors of blue for the sleeve edges and front/neck edges. This is an easy knit, fits babies great, and you apply interesting color combinations at the edges. I prefer it to the oft mentioned “Baby Surprise Jacket”. The guage is great on this, and I find it much more interesting. So, my next project is to start some Mitered Mittens, aka Elizabeth Zimmerman pattern from the Knitter’s Almanac. I have 2 skeins of Noro Silk Garden. I looked at patterns on Ravelry that people had used 2 skeins of this yarn. 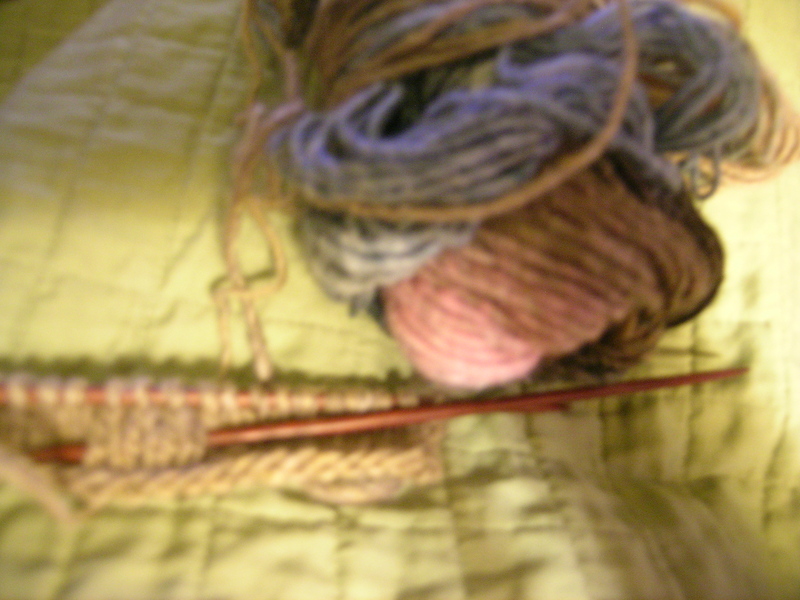 I liked how the mittens worked up, and how it took advantage of the Noro color gradations. Starting that now from my bed rehab location. And lastly, my new tape measure. Never can have enough, as I seem to misplace them and have almost as many as I have project bags. This cutie is pink leather, squeeze the center to retract. On sale last month at The Careful Peach in Oak Park. Wonderful store if you have not been there, a fabulous French Boutique style store. Great inventory, and great staff.